What’s a shrimp and grits cup? A delicious, handheld way to guarantee priority party invite status. You can thank A Mind Full Mom. If using phyllo cups, bake according to package directions. Bring stock, salt, garlic and paprika to a boil. Once broiling, whisk in the grits. Cook for 3-4 minutes and whisk in the milk, butter, and cheese and cook for additional minute or until cheese is melted. Remove from heat. Arrange shrimp in a single layer in skillet. Cook over medium heat for 6-10 minutes, stirring frequently or until shrimp begin to curl up and reach an internal temperature of 165°F. 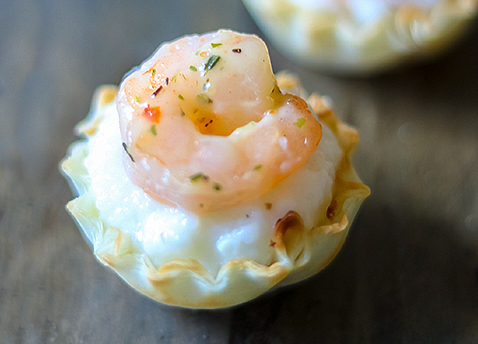 Place 1 tablespoon grits in each phyllo cup or appetizer spoon and top with one shrimp. Serve. 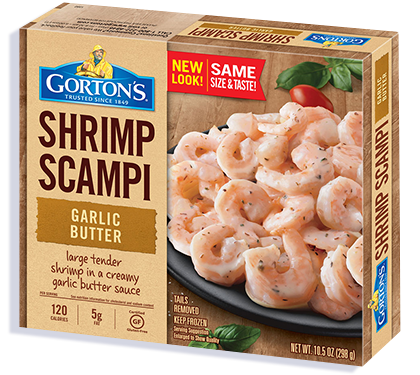 Large tail-off Shrimp in a creamy garlic butter sauce.